Best used Audi A6 Review - 2011-present | What Car? 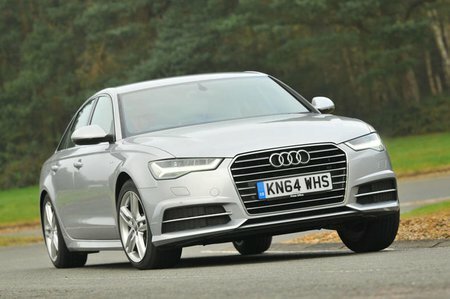 What alternatives should I consider to a used Audi A6 saloon? The BMW 5 Series has long been the benchmark saloon in this class. It’s plush enough inside to compare with just about any other car on sale. It has a spacious, well-appointed interior and it’s great to drive, with a refined and economical range of engines. The Mercedes-Benz E-Class has a range of smooth and strong engines, a supple ride and a generous amount of standard equipment. It’s good to drive, if not up to the 5 Series’ exceptional level.